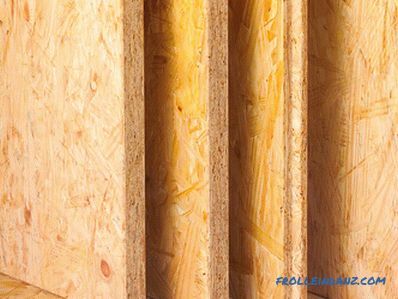 Oriented particle boards (abbreviated as OSB, although not less often, if not more often, OSB is used - the transcription of the English abbreviation OSB - Oriented Strand Board) is increasingly pushing its main competitor - plywood - from the composite wood building materials market. 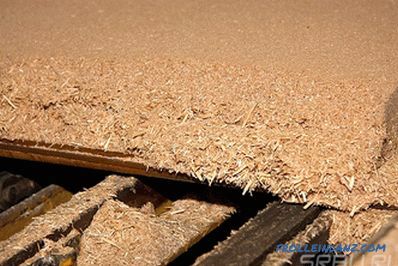 The wood content in OSB is 90-95%, the remaining 5-10% is made up of waterproof glue. And the nominal components of the glue have become a stumbling block for many ordinary users. Despite the high rates of annual growth in the production of PCA, the controversy over the safety of the use of this material does not subside. Here we will talk today about the environmental friendliness of OSB plates. 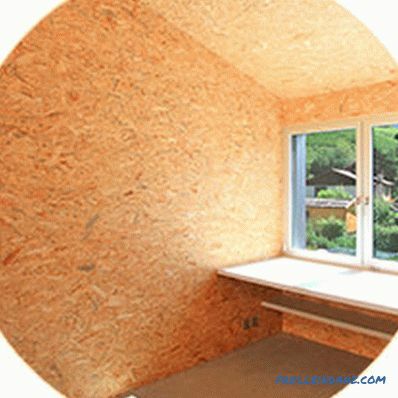 What harmful substances are contained in the OSB and how do they get there? These plates are made by thermal pressing of large-sized chips (fine wood chips) of coniferous wood stacked and layer oriented. 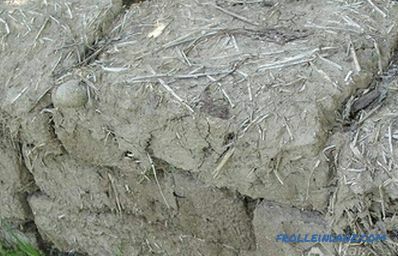 Multidirectional orientation of chips in different layers provides increased strength and rigidity of the material, so OSBs are widely used in construction (cladding of house frames, flooring of rough floors, formwork production, production of CIP panels), in furniture production, in the manufacture of containers, etc. As a binder for the production of OSB boards, special adhesives are used, the main components of which are various synthetic resins — melamine formaldehyde, urea formaldehyde dnye or phenol. By the name of all these resins, it is easy to guess that one of the reagents in their synthesis is formaldehyde. This means that each resin, depending on its quality, contains one or another amount of unreacted aldehyde. Free formaldehyde can also be released as a result of partial depolymerization of the resin, occurring under the influence of high (up to 200 ° C) temperature, at which the process of pressing the chips impregnated with glue is carried out. A significant part of this toxic substance will evaporate already in the production shops, but the remnants will “ooze” from the finished plate for a long time: the formaldehyde emission level is halved within about half a year from the moment of production. Formaldehyde is released during the operation of OSB-plates: slow destruction of formaldehyde resins (and first of all less resistant urea-formaldehyde) may be due to the influence of various unfavorable environmental factors - moisture, high temperature, ultraviolet rays. For the sake of justice, it should be noted that the source of formaldehyde can be not only synthetic resin, but also wood itself, traditionally regarded as the environmental standard. Formaldehyde emission from freshly prepared wood can reach 0. 2 mg / m 3 . 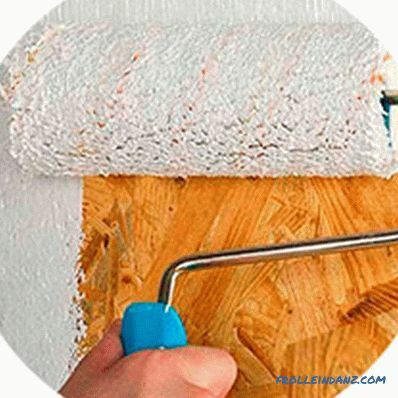 With proper drying of lumber, this indicator decreases and becomes significantly lower than the background created by low-quality synthetic glue. What is formaldehyde, and is it really so harmful to human health or is it the next horror stories of competing marketing specialists? Formaldehyde (also known as formic aldehyde) is a colorless gas with a strong odor, relatively stable at 80-100 ° C and slowly polymerizing at temperatures below 80 ° C. It has found widespread use in various areas of the national economy: in the chemical industry - for the production of plastics and artificial fibers, in the construction industry - for the production of varnishes, paints, polyurethane foam, linoleum, and various wood chipboards (chipboard, OSB, MDF, plywood) and as an antiseptic for processing wood, in leather processing - as a tanning agent, in agriculture - as a fumigator during grain storage, etc. Under short-term exposure to high concentrations of formaldehyde vapor (1. 2 mg per cubic meter of air) irritation of the upper respiratory tract, skin, mucous membrane of the eyes is observed, the first signs of damage to the central nervous system (headaches, dizziness, weakness) appear. 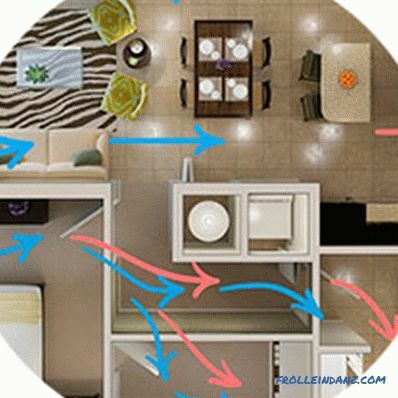 The daily effects of small concentrations of formaldehyde on the human body for a long time is the cause of chronic rhinitis, chronic bronchitis, obstructive pulmonary disease, and bronchial asthma. In addition, formaldehyde is a carcinogen: with prolonged contact with its vapors, the risk of developing nasopharyngeal cancer significantly increases. average daily (MPC ss ) - 0.01 mg / m³. The value of a single MPC (MPC mr ) corresponds to the maximum concentration of a substance in the air, at which there are still no reflex responses of the human body to contact with this substance. The value of the average daily MPC (MPC ss ) indicates the concentration limits within which the substance does not directly or indirectly harm human health under conditions of constant inhalation for an indefinitely long period of time. At concentrations of formaldehyde vapor below the MPC cc , you can not be afraid of the appearance of any pathological changes in the body. General toxic, carcinogenic or mutagenic action at such concentrations the substance does not have. It should be noted that the requirements of the World Health Organization (WHO) are less stringent: the limit of safe concentration of formaldehyde is defined by its regulatory documents as 0.1 mg / m³ with a one-time exposure of not more than 30 minutes. Е2 - from 0.125 to 1.25 mg / m³. The previously existing class E3, characterized by the formaldehyde emission level from 1.25 to 2.87 mg / m³, is not used today, the production of plates corresponding to the class E3 is prohibited in Europe. 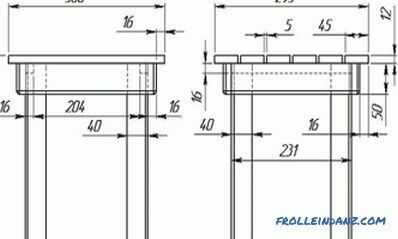 Currently, the issue of introducing a new class of materials - E1-plus - is being actively discussed with a limit value of formaldehyde emission of 0.080 mg / m³, which means that it is possible that OSB-plates with new marking will soon appear. E2 - from 8 to 30 mg.
On sale you can find OSB-plates with marking E0. This class, characterized by a formaldehyde content of less than 5 mg per 100 grams of dry plate, is not standardized, but sometimes this designation is still used for promotional purposes. Е2 - from 0.124 to 1.25 mg / m³. As you can see, the requirements of modern Russian standards are no different from European ones. 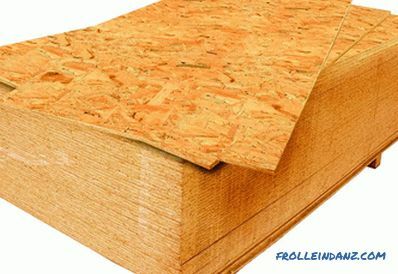 The above figures apply only to OSB, but not to other slab materials (plywood, chipboard, MDF, HDF). The production technology of the listed wood boards is different; therefore, their characteristics (and, consequently, the areas of their application) also differ. For example, if OSB formaldehyde content of 8 mg per 100 g of dry material is considered to be the norm, in the case of particleboard, to reduce this figure below 10-14 mg is an impossible task. 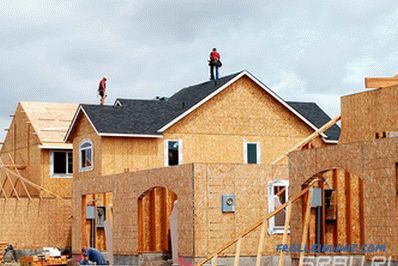 In general, OSB are champions among other wood-based panels in terms of their environmental friendliness. This is due to the fact that OSB does not contain small fraction chips and wood dust, and this makes it possible to reduce the amount of glue used (the content of formaldehyde in the finished plate decreases accordingly). Thus, the question of the health hazards of OSB plates in the context of comparing them with other wood-shaving materials looks somewhat contrived. However, back to the numbers. Now we know all about the formaldehyde emission by OSB-plates manufactured in accordance with the requirements of the standards, and about the MPC of formaldehyde in the air of residential premises, it remains to compare these values ​​with each other. 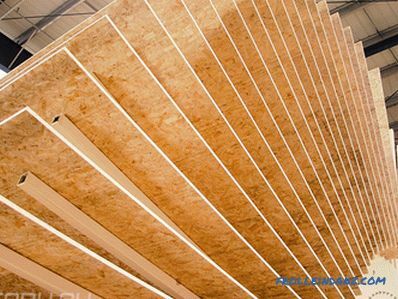 Comparing the numbers, you will find that formaldehyde emissions even by the most environmentally friendly “clean” OSB-plate, meeting the stringent requirements of the E1 class, are significantly higher than the sanitary and hygienic standards. Of course, the thought that the uncoated OSB-plates should not be used for interior decoration of residential premises is somewhat calming, since they are simply not intended for this. 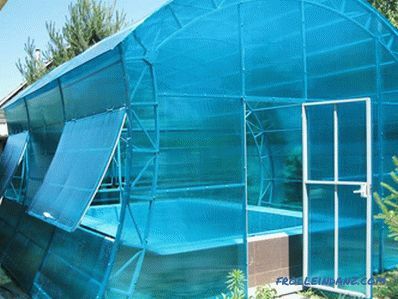 Coatings of various kinds isolate panels, preventing the release of harmful substances into the internal environment of the house. In addition, it should be expected that as the age of the house increases, the level of formaldehyde emission will gradually decrease (although measurements on real objects showed that this usually takes several months). 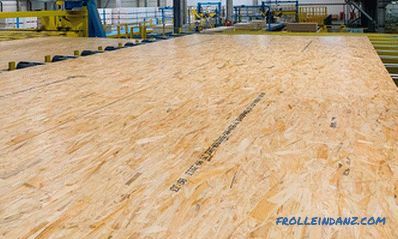 Over the past two decades, manufacturers have managed to significantly reduce the level of formaldehyde emissions from OSB-plates, experts predict a further improvement in the environmental performance of the material. This is achieved primarily by replacing chemically unstable carbamide-formaldehyde resins with more inert phenol-formaldehyde resins and introducing into the resin composition fillers that increase their chemical resistance. 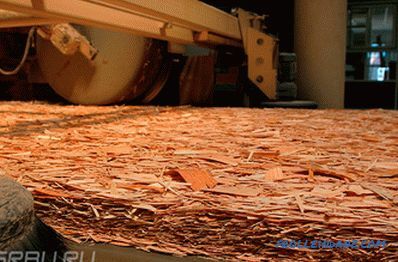 Some manufacturers abandoned the use of formaldehyde-containing resins and switched to the production of OSB on the basis of another binder - polymer methylenediphenyldiisocyanate. However, the transition to formaldehyde-free adhesives is more of a marketing ploy designed to replace the formaldehyde that has discredited itself in the eyes of the general public with another substance that is not less dangerous to health, but less well known to the ordinary consumer, and therefore does not cause much panic. As we have seen, the safety of even high-quality OSB plates raises some doubts, let alone cheap fakes. Unfortunately, manufacturers often in an effort to reduce the cost of production go to a deliberate violation of technology, which adversely affects the quality of products. The level of formaldehyde emission plates manufactured using the cheapest and substandard resins or in violation of the technological procedures of the process, often just rolls over. When purchasing materials for construction, repair or self-production of furniture, ask the seller about the characteristics of the plate. First of all, you should be interested in the formaldehyde emission class, which reflects the amount of harmful emissions into the atmosphere. Preference, of course, is to give products that meet the stringent requirements of the standard E1. 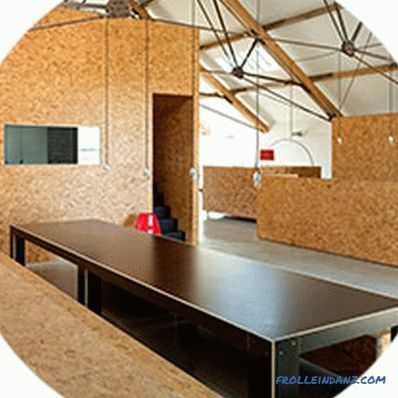 OSB-plates of class E2, which are less environmentally friendly, in our country are prohibited for use in children's rooms, and in European countries - for the production of any furniture. If you are not limited in finances, you can search for the sale of OSB-plates of class E0 (sometimes they are labeled "Super E"). They have almost no odor, and the content of formaldehyde is almost the same as natural wood. Feel free to ask for documentation on the material you are purchasing. The formaldehyde content in OSB should be specified in the annexes to the Certificate of Conformity. After reviewing the section "Sanitary-epidemiological conclusion", you will learn what the concentration of a harmful substance will be established over time in the unventilated room where the material is located. However, the presence of a certificate is not always an indicator of the good faith of the seller, and therefore the environmental friendliness of his product. Confidence should be caused by serious, time-tested companies. It is possible to determine very poor quality products on your own. Pay attention to what smells OSB, which you plan to purchase. A good stove should not give off a sharp smell of formalin (however, any other unpleasant odors, too). It is better to conduct an odorological examination of the material not in a cold warehouse, but in a warm unventilated room immediately after opening the package. 1. 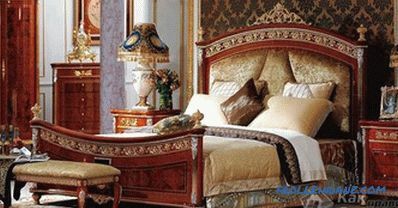 If possible, use OSB-plates (as well as other types of engineered wood - fiberboard, chipboard, MDF, plywood, artificial laminate) for interior decoration and furniture making should be generally avoided. 2. 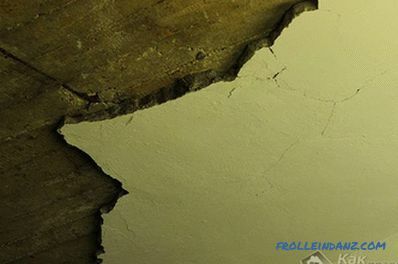 In the presence of similar materials in the construction or interior decoration of the house, it is necessary to isolate them from the living environment by coating with other materials (painting in several layers, puttying with subsequent wallpapering, facing with ceramic tiles, etc.) This will help reduce the concentration of formaldehyde and other harmful substances in residential areas. 3. The concentration of formaldehyde in air increases with increasing temperature and humidity. Avoid overmoistening and excessive heating of chipboard materials. 4. Properly equipped and well-functioning supply and exhaust ventilation will help reduce the concentration of formaldehyde in the air of living space. Ventilate rooms where there is a potentially hazardous finish every day.